20160723. Scarlet Seven proceeding westward across Homer M. Hadley Memorial Bridge (I90 expressway). 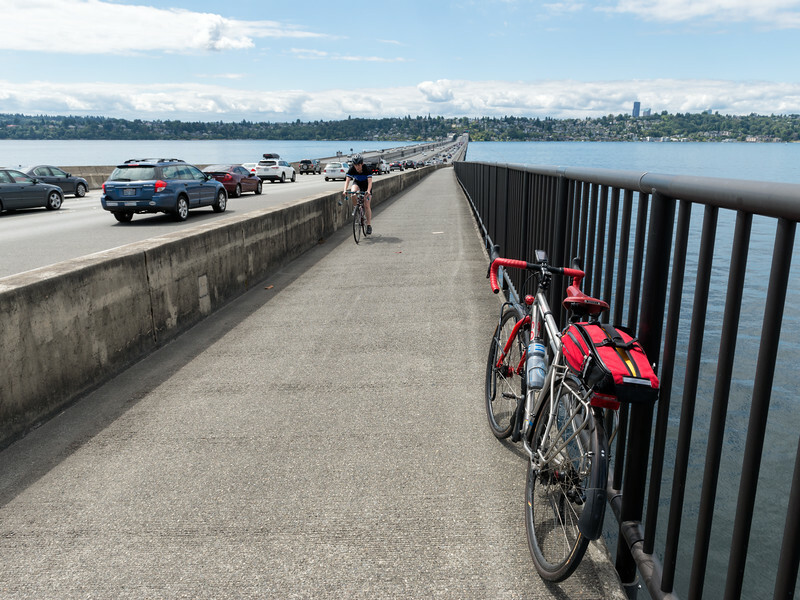 This bridge crosses Lake Washington and is the world's 5th longest floating bridge.